Introduced to the civilian hunting market by Winchester in 1952. 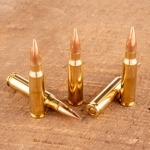 A lower-pressured version, 7.62x51mm NATO, was implemented into military use in 1954. 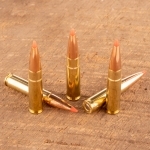 A popular cartridge for deer, hog and elk hunting. Commonly used in long range shooting matches. 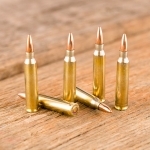 Commonly loaded with bullet weights ranging from 147 grains to 175 grains, but lighter and heavier options are commercially available. 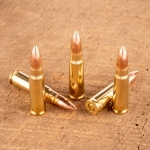 American-made, match grade .308 is a popular round among Target Barn customers.